You are currently browsing the Homeschooling adVentures blog archives for July, 2013. 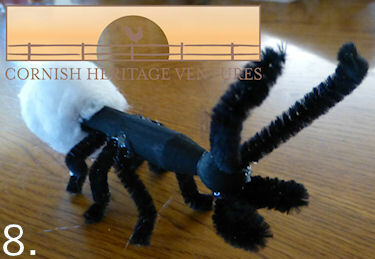 This great Ant craft originated from an idea over at Activity Village. However I wanted to make it a little more realistic so added some extra features. Due to the use of the Hot Glue Gun for this project please ensure your children/grandchildren are well supervised so that no burns occur. Divide one Fuzzy Stick /Pipe Cleaner into 3 mini sticks, each 4″ long. 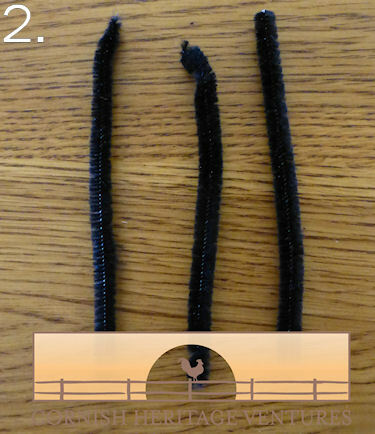 Bend off a 4″ piece of Fuzzy Stick/ Pipe Cleaner from your second 12″ length. Bend it slightly in the middle & hot glue to top of ant’s head. These are the antennae. 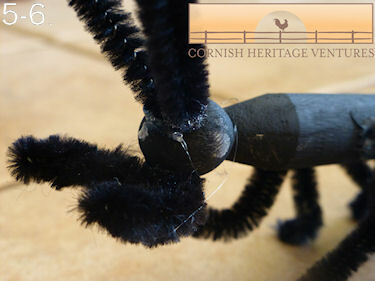 For the Mandibles break off a 6″ piece of Fuzzy Stick / Pipe Cleaner, fold in center & then trip it over to make it thicker. Attach these with the hot glue to the underneath part of the ant’s head. 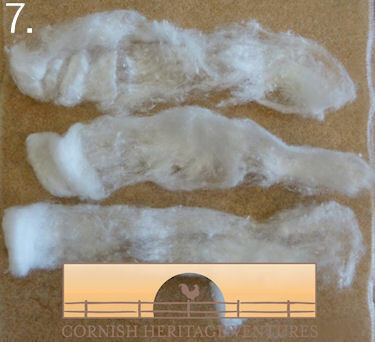 Unroll three small cotton wool balls. 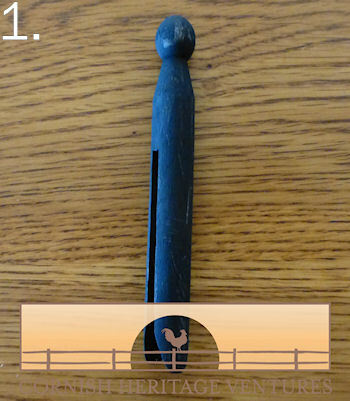 Put hot glue on the rear end of the peg & wrap the first piece around. 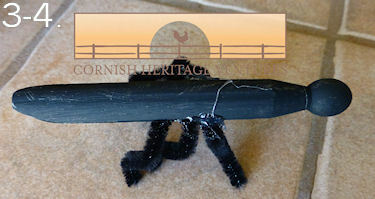 Apply glue to the now stuck on cotton wool ball & wrap the second piece around. Repeat for the third piece. Shape it as best you can to look an Ant’s Abdomen! Paint the abdomen with black paint & allow to dry. 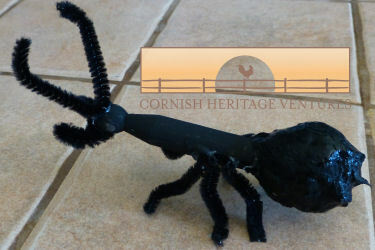 Ants have compound eyes, thousands of lenses so your older children may want to create some tiny eyes to add to the ant. 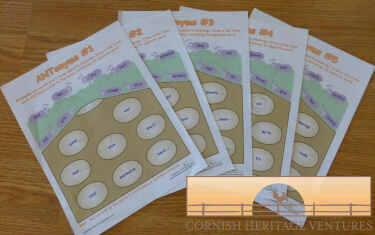 Younger children are going to be just as impressed with their creation without eyes! 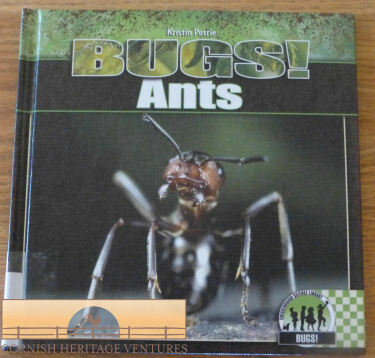 Moving along through the book History of Insects we reached Ants this week which as you may know are fascinating creatures. Took three books out of the library but our favorite was BUGS! Ants by Kristin Petrie. As I searched for worksheets on Ants up came Antonyms. What a great way to incorporate some extra learning 🙂 First I got the kids to shout out different opposites to words like Big, Tall, Long etc & then they worked on these great FREE worksheets (Antonyms #1-5) from Education.com. They are marked as Third Grade but with help younger children can do them PLUS I think they would be good “revision” for older kids too. P.S. Coming up next is a great Ant Craft.